Before World War II, Mariano Que worked as a drugstore employee in the country. He, however, saw an opportunity to serve Filipinos and to explore entrepreneurship at the same time during the aftermath of the war. At the time, Mariano invested Php100.00 on a bottle of Sulfathiazole, an in-demand drug which many could not afford because it was sold at an expensive price. What he did was to offer the medicine at Php 1.00 per piece. The bottle contained 1000 tablets and he sold them at the sidewalks of Bambang Street, Sta. Cruz, Manila. Mariano eventually earned enough that he was able to have his own wooden pushcart and sell more types of pharmaceutical products. Others tried to copy his marketing strategy but he had a good reputation of selling quality, unexpired products. In 1945, he used his savings to establish the first Mercury Drug store. In Roman mythology, Mercury is the god of merchandise who carries the winged-staff caduceus, a symbol often associated with medicine. Mariano’s business took on greater heights from there. He purchased vehicles so he can provide delivery services for his clients. Recognizing the public’s need to access medicine during unexpected time, he also expanded store hours to 17 hours a day and 7 days a week. Taking that direction to the next level, he implemented 24/7 operations for his stores by 1952. Today, that small business that Mariano started on the streets of Bambang has grown to a pharmaceutical empire with more than 12,000 employees and over 1,000 stores scattered across the country. Mercury Drug has repeatedly been recognized for its valuable contributions in the pharmaceutical retail industry in the country. In 1964, the company has been awarded as the “Retailer of the Year” by the Business Writers Association of the Philippines. 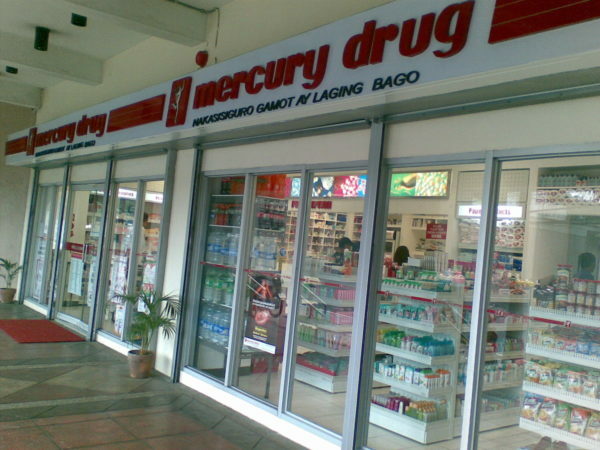 More recently, Mercury Drug received the “Best of the Best” award from Retail Asia. As we can all learn from Mariano’s story, great things can indeed come from small beginnings.